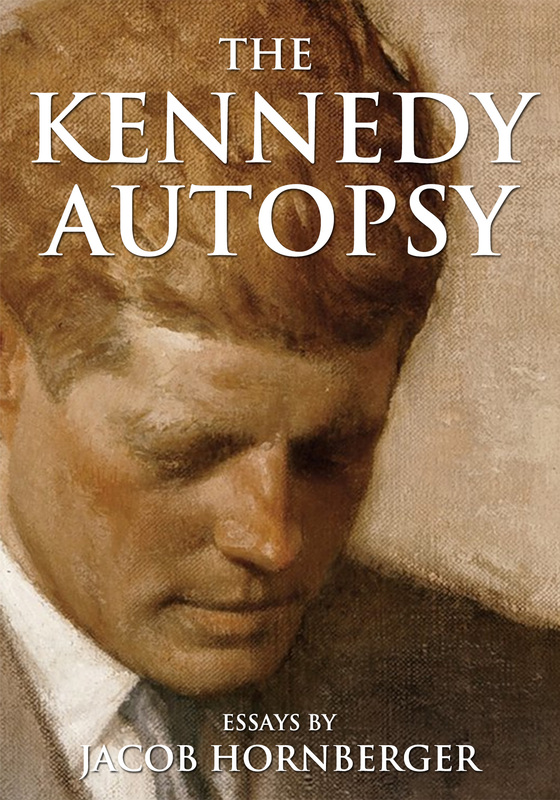 The Kennedy autopsy is a key part of the Kennedy assassination that people have debated about for half a century. It is not the purpose of this book to engage in that debate. The purpose of this book is simply to focus on what happened at Bethesda Naval Hospital on the evening of November 22, 1963. What happened that night is so unusual that it cries out for truthful explanation even after all these years. 1. Kennedy’s body was actually delivered to the Bethesda morgue twice, at separate times and in separate caskets. 2. Some photographs and x-rays from the Kennedy autopsy went missing from the record, and other photographs in the record were forged or otherwise fraudulent. 3. The president’s body was altered by tampering with the wounds before the autopsy took place. The Kennedy Autopsy is an excellent overview of the deception that went on in secret at Bethesda Naval Hospital on the evening of November 22, 1963. Dozens of highly qualified medical professionals at Parkland Memorial Hospital in Dallas saw a large blown out wound in the back of President Kennedy’s head. Yet the official autopsy at Bethesda just 8 hours later reported no such wound. How do we reconcile these two radically different views? Mr. Hornberger details the mysterious goings-on at Bethesda, and reveals the lying and duplicity by the House Select Committee on Assassinations (HSCA) in 1979. It wasn’t until the Assassination Records Board in 1998 produced records from the HSCA that demonstrated definitively that individuals who participated in JFK’s autopsy saw the same wound in the back of JFK’s head that was seen by the doctors in Dallas. The deception is breathtaking, and everyone who cares about truth and transparency in government should read this book. Eye on the Empire is a new monthly show featuring Scott Horton and Jeffrey Tucker. Join us to discuss the current state of affairs in U.S. foreign policy. Bring your questions and we’ll address them. Every time you get Jeffrey Tucker together with Scott Horton, you know something amazing is going to happen. Eye on the Empire brings these two minds to focus on the madness of the security state and the wonder of our emerging world of freedom. This episode of Eye on the Empire reveals what’s so insane about the Ukraine debate. This show is open to the public. For more from Horton, check out the Scott Horton Show podcast. For more from Tucker, check out his recent article on the Strategic Petroleum Reserve. What did US officials do to John F. Kennedy’s body after he was shot? Join Jacob Hornberger, President and founder of The Future of Freedom Foundation, as he explores that question — only on Liberty.me LIVE. For more, check out his book, The Kennedy Autopsy — free to Liberty.me members for a limited time! And for even more, check out Jacob’s newest book Regime Change: The JFK Assassination. What chunks of the government can we eliminate instantly, and what parts need to stay in place for a month or three? It has often been said that truth is stranger than fiction. It also often precedes fiction. In the hit TV series, L A Law, there was a story arc involving Abby Perkins, played by Michelle Greene, where she demonstrates a skill in criminal defense work and in a series of trials, juries bring in not guilty verdicts in cases against drug dealers. She has a conversation with Jimmy Smits’ character, Victor Sifuentas, where she worries about what she is doing; getting guilty people off. Sifuentes, who has also done some defense work, assures Abby that her work is necessary because it stands between us and a police state. (With that, I agree completely.) He cautions her though, to make sure that she protects herself by dotting her is and crossing her ts because if she continues with her success, they, meaning the government, will be coming after her. Sure enough, the government tries to take her down in a sting and setup operation. Such actions by our government should seem repulsive to us as Americans. It runs against our grain because we believe that it is the defense’s job to force a full examination of all the evidence against an accused. All Americans accept this as the price of our assumption of innocence. It also runs against our grain because we believe that in justice, as in life & sports, you have to accept defeat. To act otherwise is known as being a sore head. We tend to root for the Davids against the Goliaths. Americans are committed to playing as hard as we can by pre-set rules but we are also committed to accepting the outcome. Our government operates without such constraints. Our American government is not committed to acting in an American way! In the annals of American organized crime, few figures loom larger than Silvestri Patrone. There have been more famous figures, Al Capone, Charles ‘Lucky’ Luciano, Carlo Gambino, Joey Gallo & John Gotti but in all inner circles, Silvestri Patrone was known and respected. During the 1970s & into the 1980s, Patrone faced a series of highly publicized indictments. He turned to a newly minted attorney, Gerald Calvecchio, for his defense. In the equally high profile subsequent trials, the juries found Patrone not guilty. So, what did the government do? Did they just accept that they had not prepared their case well enough? Did they accept that Calvecchio had done his job well, as is the mandate he operates under? Of course not! Why they set him up with a plant, an ostensible client who was wired and coached him in what to say to coax an answer out of him that they could bring to a grand jury for an indictment, which they did. The grand jury system has become a sick joke; the joke about indicting a ham sandwich. Originally created to prevent malicious prosecutions by crazed & vengeful government, they have become tools of harassment. All that is necessary for an indictment is for a majority of the jurors, often 12 out of 23, to agree that a criminal charge is justified and it has become a one man show with the prosecutor being able to get an indictment of anyone for something. And if by some chance the grand jurors decline to indict, why all the prosecutor has to do is claim he has new evidence and convene another and then another and then another… Anyone care to give odds on the chances that eventually, a grand jury will indict? Well, indict Calvecchio they did. It went to trial and there was a hung jury. The government retried him but the next jury brought back a not guilty verdict. But why did he have to through it in the first place? The moral of the story is that you must never do anything to upset the government. It has the resources to destroy anyone and it will at the right provocation and the right provocation has included political actions. This is not may seem like a small matter but don’t forget this is just the tip of the iceberg of what government can do to anyone. That includes you. It is not paranoid to think that. It is reality. Many of us like to associate with like-minded people, but there is something to be said for associating with opposite-minded people. Know thy enemy. In this case, I was listening to a lobbyist who has written “As a Democrat, I think the government has a role to help people.” I can’t imagine what role the criminally insane can have in helping people, and I can’t help but imagining what harm they can do. The road to hell is paved with good intentions. A telling statement made by this lobbyist was “If you’re not at the table, you’re on the menu.” I think this is a concise summary of the evil of government power, but for this lobbyist it was an invitation to get involved in lobbying government to defend your interests and promote your pet projects. Microsoft had no lobbyists and ignored the government until the company was attacked with vicious anti-trust actions by the government. Subsequently, Microsoft invested heavily in lobbyists. It seems that government is a self-perpetuating power machine that cannot fail to grow.